This Gear Works Border features gears in all sizes along with technology and science-inspired drawings. Gears are one of the simple machines we use in so many areas of our everyday lives including computers, cars, clocks, bikes, toys, physics, and manufacturing! 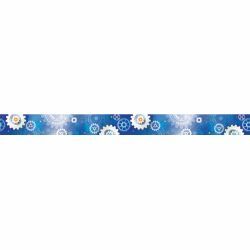 This border is perfect for any science, math, engineering, industrial arts, or technology classroom. Use this to trim a STEM or STEAM bulletin board or in a makerspace.